Y is still absolutely loving using his scissors! The kiddo can sit for half an hour cutting up strips of scrap paper, the cutting strips I make, tissue paper, etc. I love seeing the concentration on his face as he practices! 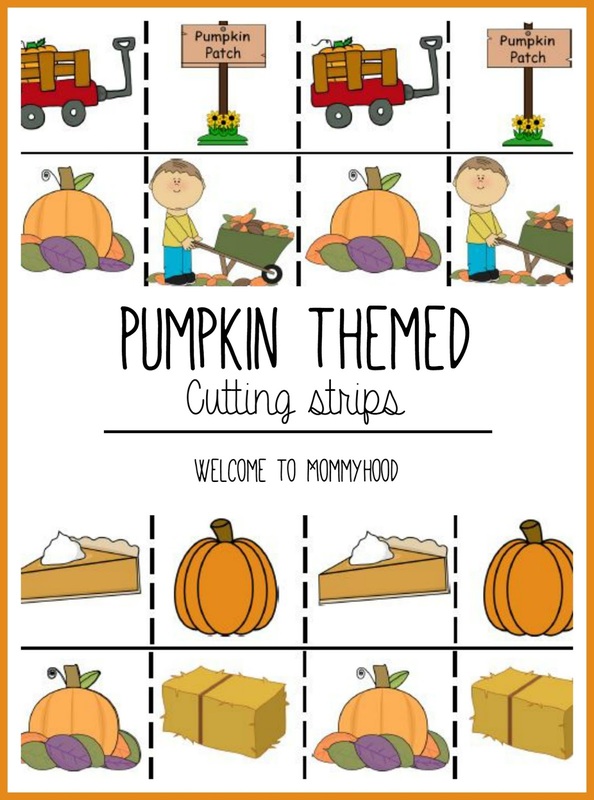 Today, I am sharing some fun pumpkin themed cutting strips, inspired by the season!